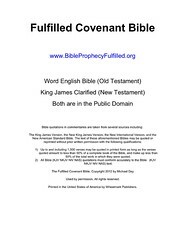 The Fulfilled Covenant Bible uses the World English Bible for the Old Testament; the King James Clarified is used for the New Testament. The translation is from a preterist prospective. 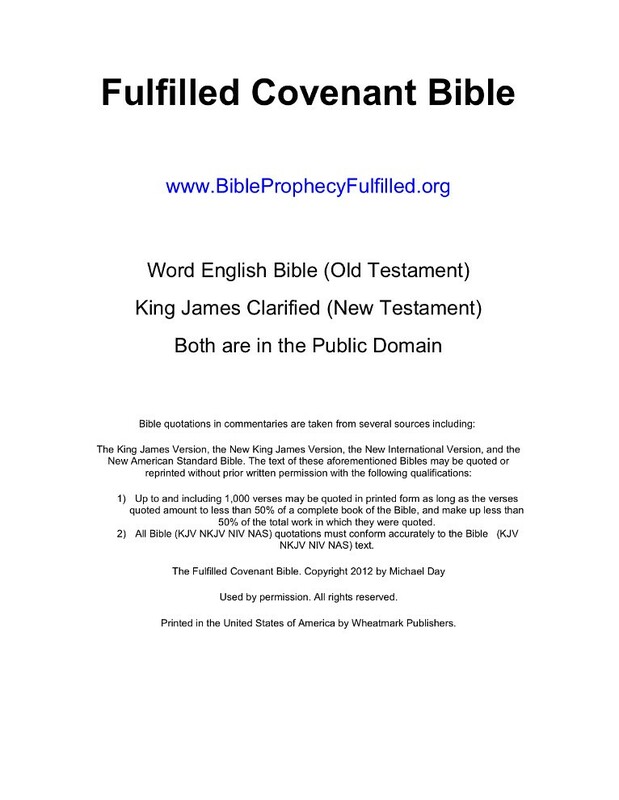 Click here for sample verses from the Fulfilled Covenant Bible. Comments: The FCB was printed by Wheatmark Publishers; The translation is also known as The Kingdom Bible.